(Jackson County, AL) A line of thunderstorms dropped several tornadoes across the Alabama, Louisiana, Mississippi Division Tuesday afternoon into Wednesday morning. Six tornadoes were reported by emergency officials in Mississippi alone, but the most severe damage has been reported in Northeast Alabama near the towns of Rosalie and Ider. “We loaded are canteen and were serving before sunrise. We’ve served 200 people so far,” said Tracey Ridgeway, Jackson County, Alabama Service Center Director. Ridgeway says the winds picked up Tuesday afternoon and was followed by one tornado warning after another during the night. She says one of the main churches in Rosalie “has been flattened”, and unfortunately, this area has seen this devastation before. Local emergency management officials are still doing assessments of the damage in Jackson County. Ridgeway says they will know better once those assessments are finished how many meals to prepare for lunch and dinner for the next several days. 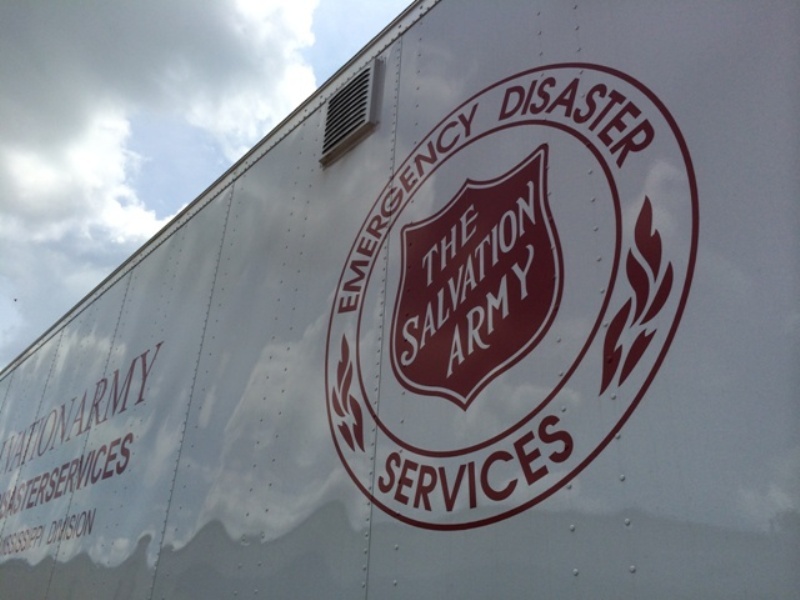 In Dekalb County, Alabama, The Salvation Army Service Center in that county has feed nearly 150 first responders and residents in Ider, Alabama which saw a tornado destroy buildings and homes in that community.